We specialize in manufacturing of quality range of Polyester Round Endless Slings, which is ideal for applications requiring more strength, less stretch and chemical conditions where other slings would not be appropriate. Further, our products are fabricated with finest quality polyester and are in compliance to international quality standards. We have reasonably priced these products, thus, making these products valuable among our clients. Size/Capacity 1 TON TO 50 TON CAP., 1 TON TO 50 TON CAP. We make sure the range of Polyester Round Endless Slings is designed using premium quality polyester yarn hank that is wound together in the form of endless sling available in protective cover sleeves. 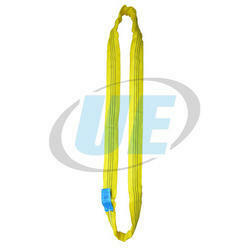 These slings are available in the lifting capacity ranging up to 500 tons. These slings are also available in color coded form for easy identification. 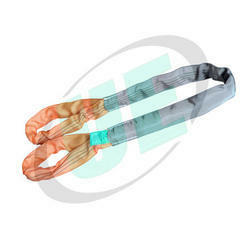 These slings are made of 100% polyester yarns and form of endless sling with upper protection sleeve of polyester fabric. These are economical & adaptable slings with no fixed wear points, light in weight, have higher safety factor and non corrosive. 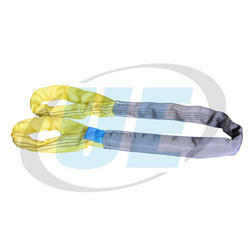 We are offering Polyester Eye And Eye Slings. We are offering Parallel Lane Slings.